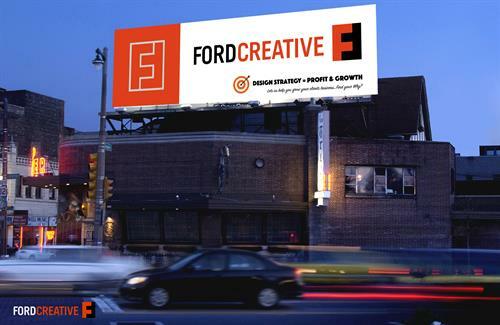 FordCreative™ is a (multi-service) free-lance Marketing/Design Agency that specializes as a design and digital media firm employing simple logic in the execution of strategic and creative solutions to meet our clients’ needs. Principal Owner Kevin Ford is a Senior Brand Design Manager @ MillerCoors with over 25 years of experience in Packaging and Retail; managing and directing Brand Management and Senior Leadership teams on many successful marketing ideas and 360° activation campaigns. He divides his time @ MillerCoors in helping clients problem/solve and understand how to make profitable and smart decisions. 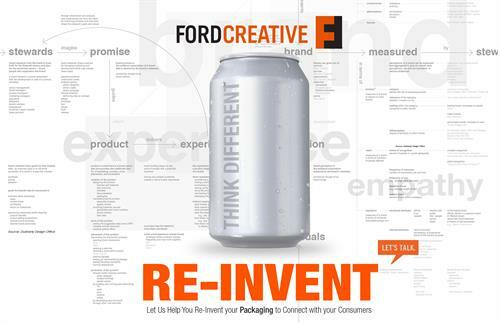 FordCreative™ has established a unique balance between Marketing, Design, and Technology, creating compelling design and digital solutions to help companies connect with their audiences. We’ve been serving small start-ups to large global company leaders to meet their objectives. Our ideas create solutions and profit!